New York saw more abortions in a three-year time span than babies born in a single year, putting the state’s abortion rate astronomically higher than the national average. Doctors in the state performed more abortions between 2013 and 2015 than the average number of births in a year during that period, according to data from the New York State Department of Health. New York averaged 236,412 live births annually between 2013 and 2015, and 709,238 total babies were born during those three years. A total of 274,252 abortions were performed in those years. Women aborted 94,326 unborn babies in 2013, 93,299 babies in 2014 and 86,627 abortions in 2015, according to the state’s health department. Girls less than 15 years old aborted roughly 300 of those babies each year between 2013 and 2015, the data also reveal. New York women aborted 400 babies out of every 1,000 live births between 2012 and 2014, data from the health department reveal, eclipsing the average abortion rate across the U.S. The rate of abortions nationally was 11.8 abortions per 1,000 women aged 15 to 44 years between 2014 and 2015, according to data from the Centers for Disease Control and Prevention (CDC). That rate reflects an overall lower number of abortions than the U.S. has ever seen since abortion was legalized in 1973 after Roe v. Wade, according to the CDC. New York Gov. Andrew Cuomo signed the Reproductive Health Act, removing abortion from the state’s criminal code and allowing women to have abortions after 24 weeks in cases where “there is an absence of fetal viability, or at any time when necessary to protect a patient’s life or health,” according to the legislation. Nurse practitioners, physician assistants and qualified health care professionals can provide abortions under the legislation. New York does not place any major restrictions — like waiting periods, mandated parental involvement or public funding limitations — on women seeking to abort, according to a May 2018 Guttmacher Institute report. 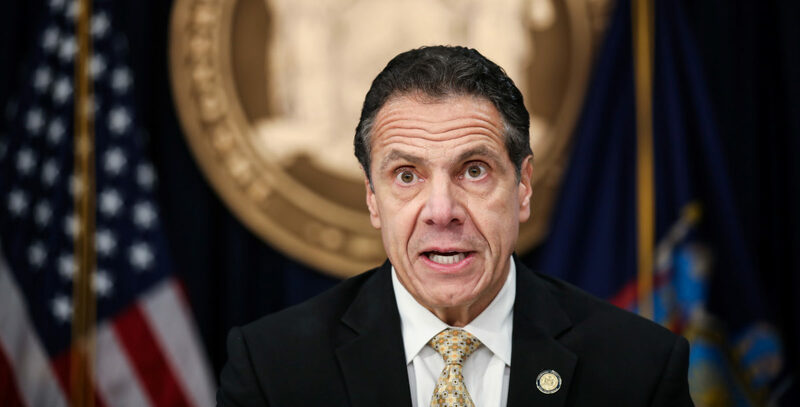 Cuomo, a Democrat, is looking to pass a separate bill requiring insurance companies to provide free contraceptive care, according to The New York Times. This post was updated to clarify New York saw more abortions in a three-year time span than babies born in a single year.